Jawa Wildlife Hunters Bimonthly: The Rise Of The Jawa Hunter and Zoo Mania, What YOU Need To Know! There has never been a better time to be a Jawa wildlife enthusiast in this galaxy! With the "guns 4 jawa" program arming Jawas to protect themselves against tallfolk and creature aggression, it has never been easier for a Jawa to get the tools they need to hunt creatures in the wild and make a profit doing it. In this issue, we speak with a number of wildlife enthusiasts and other hunters as they share their stories and discuss the recent controversial "Zoo Mania" spreading across the galaxy. Those looking only to get more information on Zoo Mania should jump to roughly the middle of this issue. As many readers know, there has recently been a massive rise in Jawas entering the hunting scene around the galaxy. One event credited at least partially with this rise is the "Death Hunt" that has been taking place at many of the last few galactic swap meets, a destination for any Jawa off the homeworld to visit. These Death Hunts offer a hefty credit prize for those dedicated hunters who can most quickly kill off a list of targets within the allotted timeframe. Although the event is still frequently dominated by non-Jawas, a number of Jawas have participated in recent years, with some spending much of the swap meet hunting local wildlife rather than engaging in trade and commerce exclusively. Furthermore, with the aforementioned "guns 4 jawa" program, any Jawa off the homeworld with a convincing excuse can obtain a blaster free of charge by visiting a Jawa Offworld Enterprises representative with available stock. This has seen a notable rise in armed Jawas across the galaxy who often are looking for something to do with their newfound blaster. This easy access to the tools of the trade has enabled many to quickly get into the hunting game, even though the original purpose of this program was to enable recipients to better defend their profits. Another element credited with this rise in hunting popularity is the change in Jawa norms that has occurred with many leaving behind their homeworld. In the words of one Jawa, "After I left my mama behind for the galaxy at large, I found myself getting in a lot of scuffles with the local tallfolk and not doing the best in them. So me and a few of my friends took a couple of lessons from a pal who used to be in the Jawa liberation force and started practicing with weapons out in the wild, hunting down some wildlife and even some criminals. The tallfolk look at me different now that I can pull my blaster and get off some fire before they can say 'hooded little anklebiter!' I also now have a gnarly necklace made out of nexu toes, and a pair of boots I nicked from a dead bandit." A truly inspiring tale, and one reflective of why many Jawas spend time hunting creatures: it helps to teach them the skills they need to better defend themselves and their family while sometimes making a hefty profit from the spoils of war. 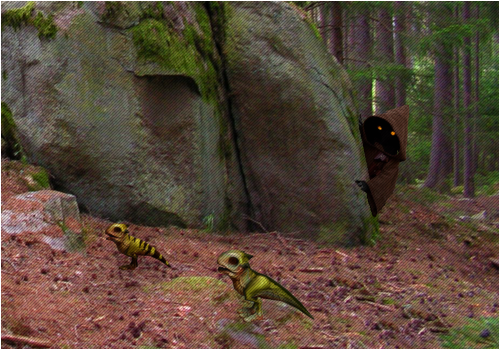 Jawa mercilessly hunting down gizkas, following the pair to the rest of the flock. Another pressing topic to many of these Jawas is that of Zoo Mania. This is a recent phenomenon as the galaxy has seen an abrupt, massive surge in individuals turning up at places where animals are kept, including zoos, ranches, wildlife preserves, and porg farms. We're not entirely clear on why people are suddenly so interested in wildlife, but it seems to have something to do with a number of activist groups that have been using these places as staging grounds to organize like minded individuals, and this could be a prime opportunity for profit. There appear to be four main groups, three of which engage in dangerous and unsustainable hunting practices in order to further their political ends. Sadly, none of these groups are Jawacentric. All of these activists seem to have the same strange goal, to kill creatures designated as "large" or above and bring some form of proof of the kill back to a representative of their group. Many of these groups do not have the best interest of wildlife or the art of hunting at heart, with popular groups like the so-called "Sport Hunter Guild" and "Tech Lovers" who appear to be attempting to wipe out wildlife populations in order to hinder others. This is a clearly destructive practice, and little better than the dangerous "DNA Bashers" who are intent upon making use of known murderer Alejandro Brotingo's "Twilight Foundation" science labs in order to create a genetically modified creature to release into the wild as an invasive species, inevitably wreaking havoc on the natural order. We here at Jawa Wildlife Hunters Bimonthly naturally advise supporting the like-minded organization of the "Zoo Keepers Alliance" who are working to prevent poachers and protect the local wildlife populations while engaging in sustainable and responsible hunting. 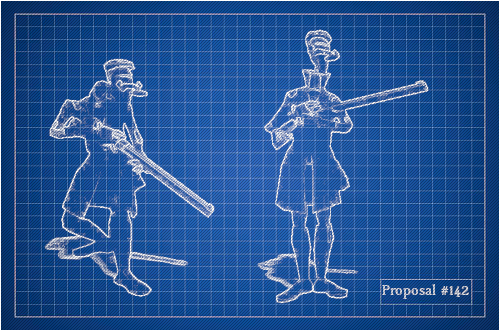 Additionally, in a bold move, the ZKA has pledged to design and distribute the designs for a new anti-poaching and hunting droid in the event that they succeed in protecting the wildlife in a majority of popular hunting destinations, preventing the dastardly plans of the other three "activist" groups. If that isn't a reason to get Jawas onboard, I don't know what it is! Go out to your local zoo, ranch, or wildlife preserve and speak to a ZKA representative today to pledge your support. The hunting buddy, one of many proposed droids the ZKA may be able to develop and produce. While this is a decisive topic for many Jawas, this Zoo Mania has raised questions of sustainable hunting, the role of responsible hunters in limiting poaching, and the overall place of the modern Jawa hunter in protecting wildlife. Many planets suffer from struggling wildlife populations after the human destruction of the local ecosystems and exploitation of the natural environments of wildlife, and while it may be profitable in the short term to hunt as many animals as possible to near extinction, it seems to be a poor long term business model. One Jawa who appeared to be carrying an excessive number of weapons had the following to say: "Why are we hunting these creatures? They're barely worth chasing. The true game is that of hunting the hunters. I've killed more poachers than I can count, by blaster and by blade. The tallfolk are a crafty target to hunt, often doubling back on their tracks and making use of repulsorlift fitted vehicles that leave near no trace, but that doesn't stop me. We get both their illegitimate spoils of hunting and a sense of justice, forcing these hunters to become the hunted." We're not sure if what this Jawa is doing is legal in most jurisdictions and advise other Jawas to consult with a lawyer before engaging in similar activities, but it sure sounds profitable! However, the notion of poacher hunting has also been criticized by many Jawas. A significant portion of the Jawas engaged in this say that exclusively hunting down poachers is as shortsighted as the overhunting of many animal species, arguing that if there is to be long term profit in the catching of poachers, then standards must be agreed upon in order to allow the local poacher population to thrive. One Jawa statistician recommended the 100:10:1 ratio for hunting on most planets, recommending the killing of 100 small creatures and 10 large creatures for every "predator" killed, whether that be a poacher or an overly carnivorous species in the local ecosystem. This is claimed to result in peak profits for Jawas on most planets. 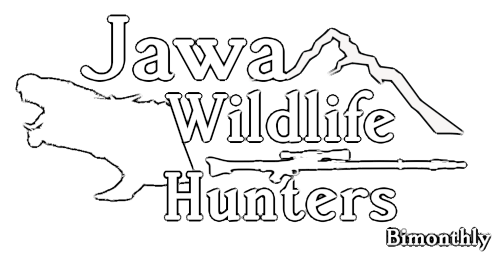 Regardless of your stance on sustainable hunting or poachers, Jawa Wildlife Hunters Bimonthly wants you to get out there and enjoy the great outdoors! Support your local wildlife preserves and support your local Jawa hunting association. Editors note: Jawa Wildlife Hunters Bimonthly is in NO WAY involved in or supportive of Jawa Hunting Quarterly, which is a separate magazine advocating for the illegal hunting of Jawa sentients.